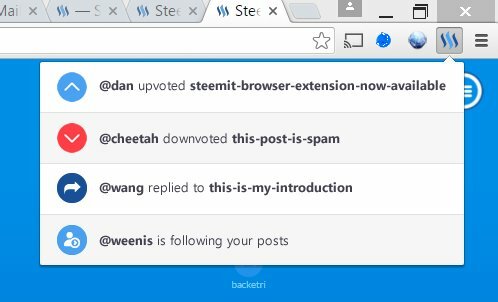 Download the Steemit browser extension for Google Chrome in order to show notifications when people interact with your posts and comments! So what happened in the past days? 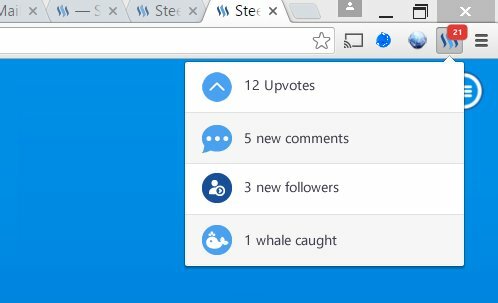 So few days ago I was making a post that I created a browser extension that is adding the missing notification feature to Steemit.com. What followed was unexpected. Quite a lot of people were digging it and the feedback was overwhelming. I felt like I didn't do the people justice with my extension because it was hacked together in a short amount of time and I didnt spent much time testing it. Additionally it was built on the crossplatform browser extension framework from crossrider which turned out to not to be very trustworthy. So I redid the whole thing and improved it on all ends. I rewrote the code completely and made a native extension for Google Chrome. Chrome was the first browser to begin with because no one of the testers requested the Firefox extension. The result can be seen in the picture above. Tell me how to get started already! Is that it? Will there be further developments? Yes. While waiting for Chrome to list the extension I spent a lot of time improving it even more. In a few days the extension will come to Firefox browsers as well, I'am just waiting for Firefox 48 to be released due to it's notification api which will happen in the beginning of August. Safari will follow after the FF version is live. Please anyone in the comments confirm me that people are still using the Safari browser..
Until then I should also be done with the version I am currently working on, I thought it would be neat to have the notifications in a more facebook kind of style... which will be included in the next release. This is the list view for when only a few new events happened. your idea? -> just leave a suggestion! Thanks to all the people who tested the extension or offered support! If anyone experiences any bugs or has feedback please leave it to me in this post. The sourcecode can be seen if you follow the github.com link above. You can install it directly from the sourcecode or you go the way via the chrome webstore - both are identical. This extension will never ask for your password or private keys in any way - if you ever notice that or someone is creating a copy cat extension please report it immidiately! 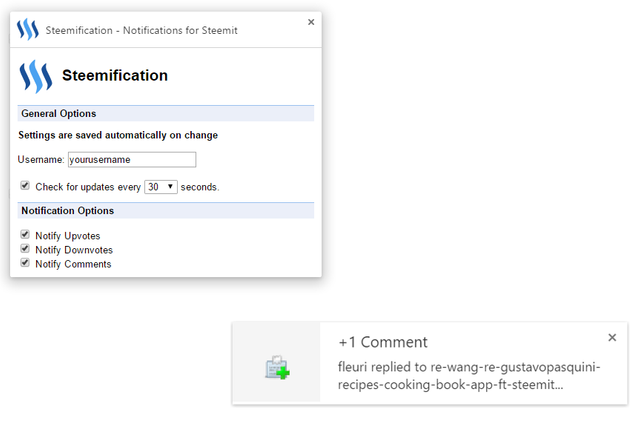 Please add a feature to allow changing of the Steem API server as I can't guarantee that the [default piston.rocks API](https://github.com/fleurilafleur/steemification/blob/master can survive all the load people are putting on it. hey @xeroc , thanks for the feedback! i will add this right away. Please explain why you are abusing the flagging system and also please remove your flag on my post and stop abusing the flagging system. You may find larger account holders start flagging you back and ruin your Steemit reputation and remove funds from your post due to your abuse of the flagging system. Currently this is the only method we have to stop flagging abusers. There is absolutely nothing wrong with my post praising Dan that you've flagged. Thank you for your cooperation. I'm a little concerned about user knowledge of security when I see nothing but positive comments here. fleuri might be a perfectly ok guy but I would not trust any third-party browser extensions for Steemit whatsoever. Accounts are worth enough that it's a bad idea. exactly what i just tried to address on steemit.chat . maybe you should have mentioned that i just wrote this on there.. asking how to make it more secure for people. if anyone here can provide a way how to properly get the extension verified/signed and make sure it represents exactly the code given on github that would be sweet and i would love to incorporate it. so that the developers are pushing this harder. obviously this is a highly requested feature. which is why people are keen on it. anyway iam happy if we figure out a way how to make the whole process more secure and i'd be even more happy if @dan @ned and the rest of the team integrates notifications natively into the platform. Thank u 4 the great approach. as 4 security concerns of @pfunk, what r they? read-only access 2 publicly accessible data? give me a bake. It's happened! thank for making this idea a live! Great idea dude! Props to you! Wow!!! I had to install this immediately. Let the upvotes begin. This is super cool and useful! I use several browsers at once, chromes for work stuff, firefox for social media and safari for banking etc..
Do you have a roadmap for a firefox extension ? Either way I just tested the extension I can happily say it works 100% ! this goes directly into the beer fund! Only one word for this.. magic stuff!!! yeeeah )) this is a WONDERFULL!!! Wow, I've been looking for this for about an hour. And now I am here. Thank you for app. I have been struggling about the updates on my comments and posts that why this app will be a great help. Keep on updating it and more power. 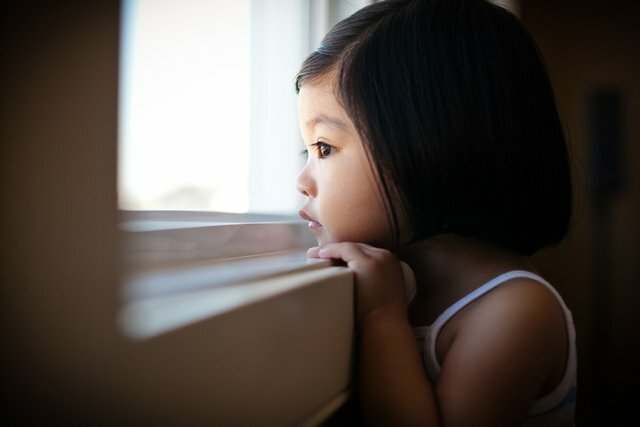 Will it be safer now? You said you were hacked so are you making sure it doesnt happen again? Thanks! yea it is completely unrelated to the code. tbh i'am not sure what happened maybe my password eventually hasn't been stronge nough. i recovered it via facebook and set a very secure one. but again the extension isn't related to problems with my personal account. so yes it is safe to use, i'am just asking a couple of old steem users to verify that by the source code. You're AWESOME fleuri, Thank you!!! This is really helpful. I will give the plugin a try and will give you my feedback in the comments. I'm looking for something to get notifications, when Steemers that I like have written a new blog post. Is this possible with your plugin? 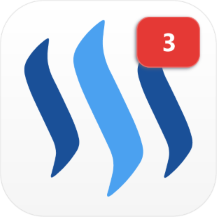 - There is already the possibility in steemit to follow accounts, but you can only choose them, but not see a list of the new content of them. Perfect! Was waiting for it to hit out of Beta. That was surprisingly quick! Any plans for a Firefox extension though? I stopped using Chrome because of the RAM and battery life bloat. in the last days i was working to something similar :( you did a great job. This is the community in action! Great tool Thanks! you are welcome...! if you have any suggestions or feedback please let me know! Did your notifications browser extension notifited this comment? the question is... did this reply notify you about my comment? Thx 4 ur work! great addon! But great work so far, i love all community contributions! My icon dropdown looks like this and not like the photos you have in the post above. Am I missing something? I have been using Steemification for some time now and I am thoroughly pleased with this extension. It gives me up-to-the-second alerts on my posts and allows me to provide real-time responses to my people. Follow me for cool takes on Steemit. Great stuff dude , waiting for Firefox extension. hey, sorry that it isn't out there yet. personally I'am also all in for firefox. the extension was ready but it wasn't good and didn't do justice to what people were expecting. so i thought better to postpone it. as soon as Firefox version 48 is live the extension for Firefox will be on the store. i can send you a reply here once its live! Installed on Chrome Version 59.0.3071.115 (Official Build) (64-bit) (Win 7 Pro) - it does not work. All options are checked, Steem user name is correct, but no notifications whatsoever are received. Any thoughts as to why? Thank you so much. I am trying it right now. I was so blind without it. 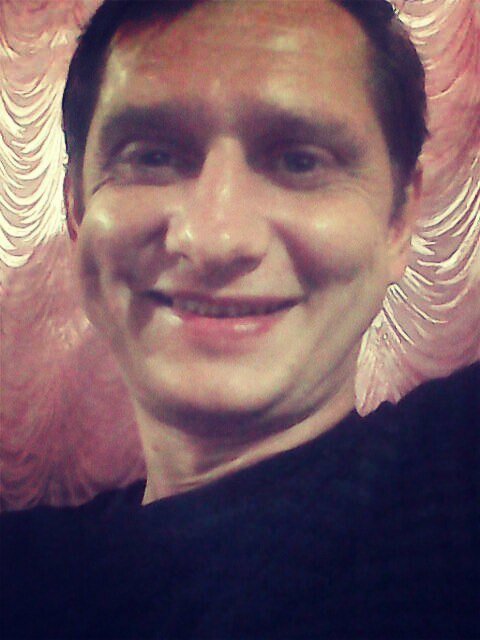 Hello people. Advise, how can I make an interesting blog? does your browser addon still work? lack of notifications really bother me very much, thanks for fixing this problem, downloaded and testing it out. Thank you carefully learned about safety. Will there by any for Firefox? So there will be a safari version also? yes I didnt look into it much yet but it will be the next thing right after the FF version including the above mentioned new features are live. shouldn't take more than a week until the Safari extension could be tested..
Is there a Safari extension yet? Does your Plugin still work? I installed it a month ago but I never recieved any notifications. Cool. Will try this out.